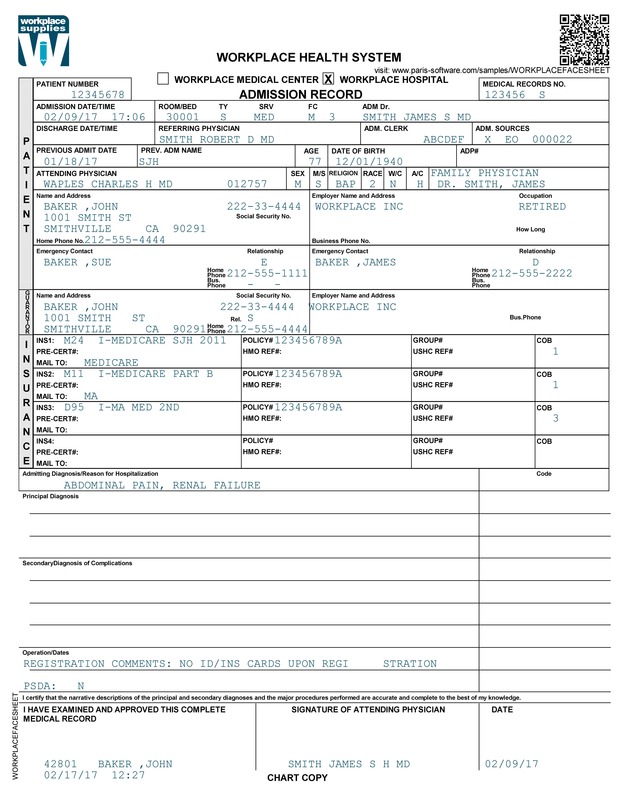 This sample shows how Paris can be used in the healthcare industry to produce critical administration documents such as admission and facesheet forms on plain paper. Ideal for applications that use expensive pre-printed paper. Replace costly pre-printed paper and print on plain paper on both sides to significantly reduce the cost of production. In this example, we are printing admission and facesheet forms in Paris from an EHR system such as Epic, Cerner, MEDITECH. McKesson etc. No changes are required to your host system or process. Paris is producing the office copy and the chart (facesheet) copy at the same time.